Update from the Executive Director of 'Confession of a 9/11 Conspirator.' Filming set to begin with a release date of May, 2012. My name is Howard Cohen, Executive Director of Actors & Artists for 9/11 Truth. 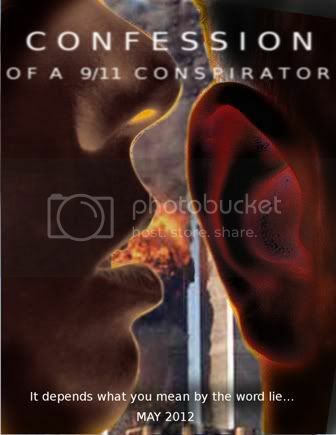 I am writing about "Confession of a 9/11 Conspirator", a feature film being produced under our auspices. “Confession of a 9/11 Conspirator” is a feature film willing to do what the world’s governments and legal bodies are unwilling to do – open a new investigation of 9/11 for the entire world to see. It dramatizes the first day of “The President’s New Investigation of 9/11”. Click to watch this stunning new video featuring Daniel Sunjata! This new video, narrated by actor Daniel Sunjata (Rescue Me, The Bronx is Burning), compares the potential of Building 7‘s footage with the effect the Zapruder Film had on the American society. A lead actor from the popular FX television show “Rescue Me” joined a large group of 9/11 activists and survivors on Sunday in a march from New York City’s Battery Park to city hall. During an afternoon rally in the park, Daniel Sunjata, who plays the role of Franco Rivera in the firefighter drama featuring actor Dennis Leary, took the stage with an impassioned call for a new investigation. The march was held to support the NYC CAN coalition, which is currently engaged in a court battle with city hall over the legality of their ballot measure calling for a new 9/11 investigation. The group has gathered over 80,000 signatures from New Yorkers in support of its ballot initiative, and even won a recent legal skirmish over a challenge to the validity if its petition’s signatures. The city’s challenge to the initiative’s legality continues, however, with a court referee recently advising the judge to find for the city. For years now, New Yorkers, Americans in general, and millions around the world have been plagued with deeply troubling questions about what really happened on September 11th, 2001. Let down and betrayed by the non-findings of the farcical 911 Commission and its white-washed "report", victim's family members and patriotic citizens have taken matters into their own hands by using the peaceful and democratic means of the New York State Constitution to resolve the issue.